Albemarle County police have identified the man who died in a collision with an Amtrak train carrying Republican members of Congress to a West Virginia political retreat Wednesday morning. Christopher Foley, 28, of Louisa County, died from injuries sustained from the crash. A second passenger of the truck was airlifted to the University of Virginia Medical Center with critical injuries, while the driver of the truck was taken by ground in serious condition. Amtrak is reporting that two crew members and two passengers of the train were transported to UVa with minor injuries. 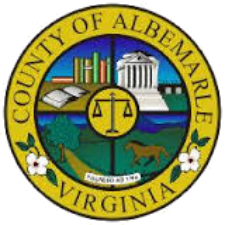 At 11:17 Wednesday morning, Albemarle County police officers were dispatched to the call of a fast train versus a truck on Lanetown Road and Marymart Farm Road. When crews arrived, they discovered that an Amtrak train, originating from Washington, D.C., had come in contact with a trash truck on the train tracks. The Albemarle County Police Department, Albemarle County Fire/Rescue and numerous other state and local agencies worked quickly to break down the size and scope of the scene. The ACPD Crash Reconstruction Team is investigating the crash and working with the National Transportation Safety Board in their investigation. The NTSB briefed media Wednesday evening at the ACPD and said that they will be on scene for several days going over the crash site, which will be followed by an investigation lasting several months at its headquarters.